Because they provide seamless and smooth electrical current comparable to household, business and industrial power, pure sine inverter chargers are a popular choice for converting direct-current battery power to alternating-current electricity for residential or commercial use. 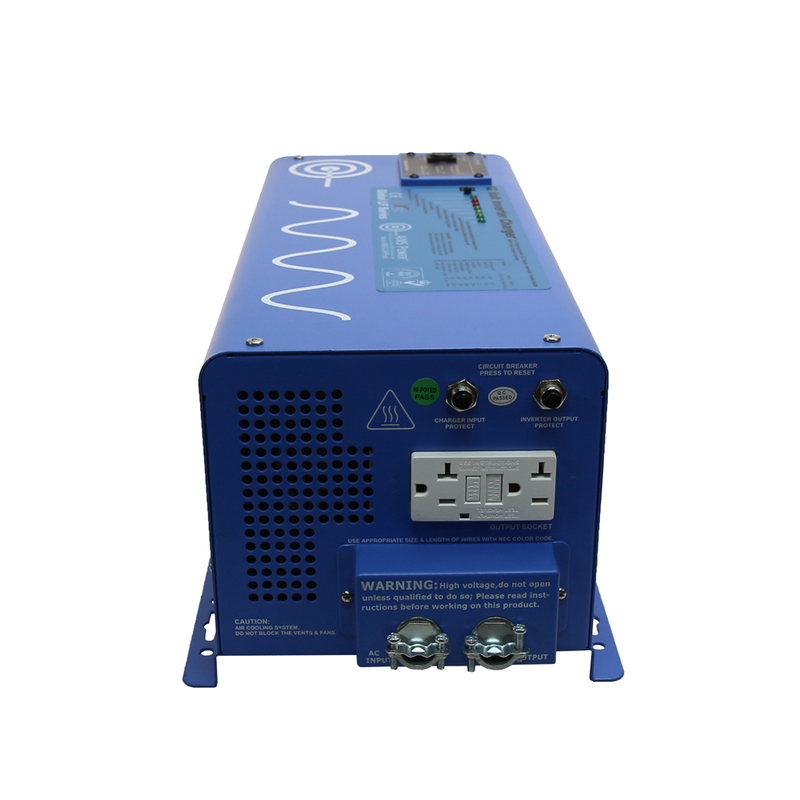 With this type of inverter charger, pure sine wave produces cleaner power that is particularly appropriate for computers, medical devices and other sensitive electronic equipment. 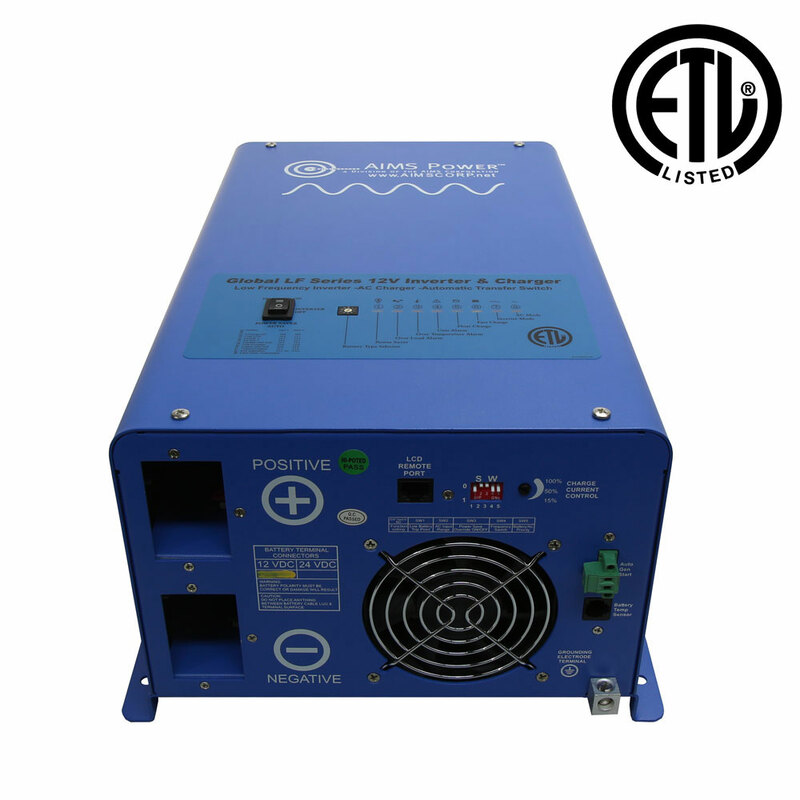 Although this type of inverter charger costs a bit more to buy than a modified sine wave inverter charger, it can run devices and appliances more efficiently and help them last longer, which will save you money in the long run. In addition, these inverters have become less expensive, adding to your savings. Our inverter-chargers are all-in-one devices. 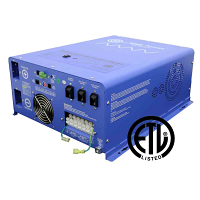 They convert DC power to AC power while charging a backup battery bank for use when AC power is disconnected or electricity from the local utility is lost. 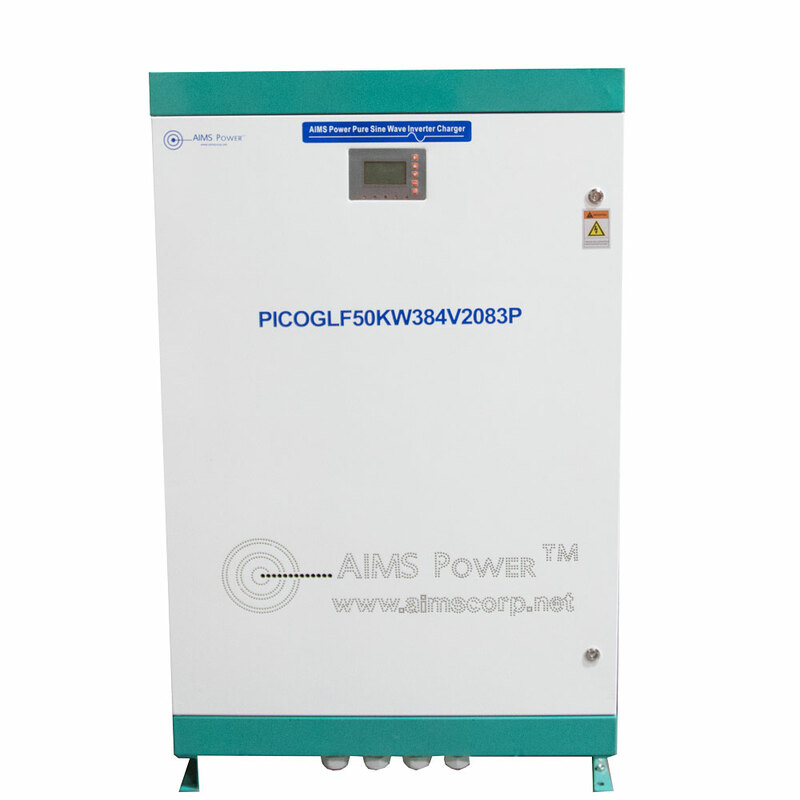 AIMS Power offers a big selection of pure sine inverter chargers and accessories, making it easy to find the right AIMS inverter charger for your situation. Our AIMS inverters are available in 12V and 24V versions. A 12-volt AIMS power inverter charger is more typically used in vehicles and RVs, while 24V inverter chargers are common for buses and larger battery banks. We carry 12V inverter chargers from 600W to 4,000W and 24V inverter chargers from 3,000W to 6,000W. 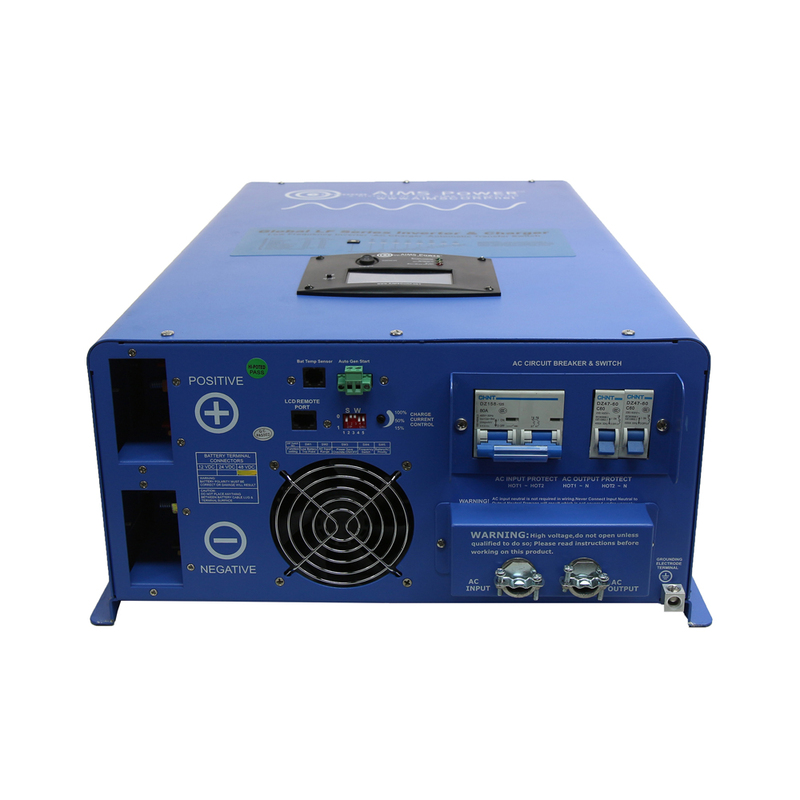 For larger applications, check out our 48V pure sine wave chargers as well as 384VDC models that can handle 30KW to 200KW. These bigger chargers are ideal for large homes, ranches, businesses and other applications that need substantial amounts of backup power. Many of these devices are ETL certified to UL 458 and CSA certified to CSA 22.2. We also carry useful accessories for these inverter chargers. A battery temperature sensor will increase your batteries' life, while a LED remote panel provides an easy on/off remote switch for AIMS inverters.